•Please call or email the shop to pay by bank transfer or finance Patrice Vigier pioneered graphite neck construction in the 1970s and 80s, and after much research and fine tuning Vigier moved away from the colder and brittle sounding solid graphite necks to a composite of 90% wood and 10% graphite - this yields the same strength and rigidity famed on graphite necked instruments but with more depth and warmth in the low and mid range and is smoother in the upper registers. This bass features a slim, fast neck with piano like clarity to the notes. With its super stable neck and superior build quality mixed with some of the best pickups and preamp available you can get a huge array of professional bass tones. I deal for Rock/Pop tones from super clean to grinding rock. Roger Glover plays exactly this bass. 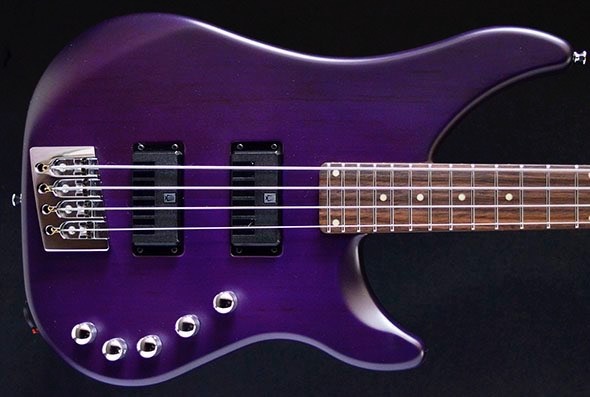 Bass Guitar Magazines Mike Brooks casts an enquiring eye over the latest bass model from Vigier’s Excess range. Widely regarded as one of France’s finest bass producers, Patrice Vigier has built a reputation for producing instruments that fuse elements of traditional guitar and bass design with more modern materials and design processes, resulting in some exceptionally playable and broad-sounding instruments. 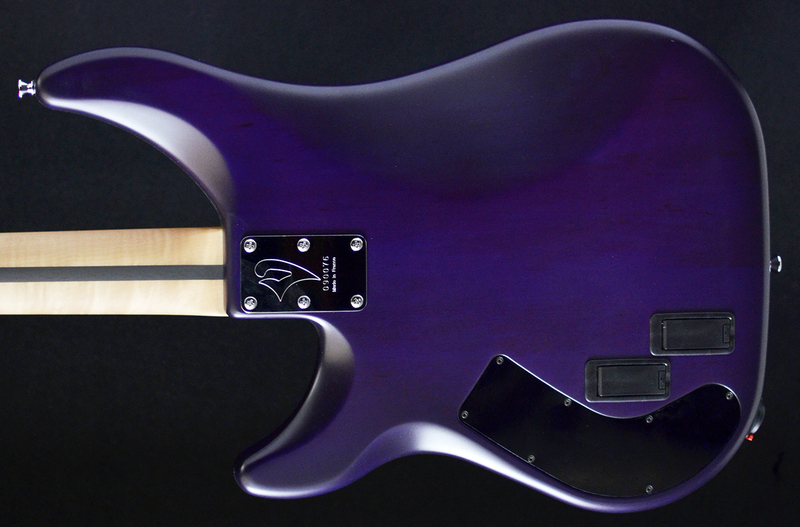 An early adopter of carbon fibre, Vigier’s ‘10/90’ neck production system, which incorporates both wood and graphite, was first introduced in 1989 and is still very much in use today, and the inherent benefits it offers regarding stability and consistency have allowed Vigier to maintain a high standard of production across their entire product range. The Excess model sits somewhere in the middle of the company’s bass catalogue, which has always garnered a healthy respect in the marketplace and with good reason. But at over £2,000, it is not exactly a ‘throwaway’ purchase. So will the 5-string version we have here prove to be a party popper or a party- pooper? Time to don our party hats and take a look. The antique violin translucent finish has been expertly applied to the alder body, which is quite substantial in terms of its overall size, width and depth yet balances perfectly, making it a joy to play. To accommodate the 33.8-inch scale length the neck is positioned quite a way into the body with a five-bolt neck attachment that’s as tight and sturdy as you could wish for, with good body contact, though the bulkiness of the join is a little prohibitive from the player’s perspective, requiring a bit of a stretch to reach the upper frets. Some neat contouring around the lower horn improves the situation somewhat, and some players may enjoy the ‘bulky’ feeling this bass presents. From a playing point of view, it does make you want to dig in and really get to grips with the bass. The one-piece maple neck and fingerboard sport a supremely smooth satin finish, along with a distinctive flame figure front and back, so though the fingerboard looks a little broad, the 46 mm neck width at the nut and the 19 mm string spacing at the bridge make the Excess a very comfortable and highly playable bass. The neck profile is equally impressive, maintaining a constant slim ‘C’ shape throughout. All of the above factors contribute to a neck that’s truly impressive to play and feels very solid, so whether you use a light touch or prefer to get stuck in with fingers or a pick, the majority of bassists will be equally impressed. 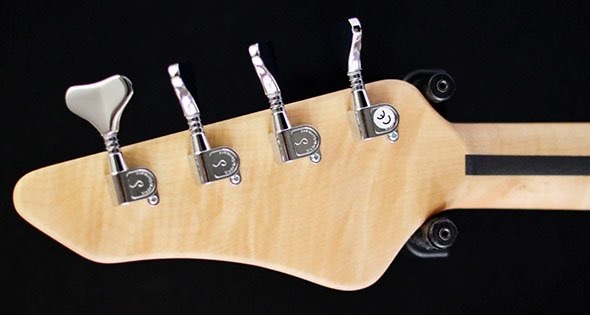 The 10/90 neck system (10% carbon, 90% wood) removes the need for a truss rod as the carbon component runs through the middle of the neck, improving stability and sustain, and although it doesn’t affect the overall feel, it will no doubt have a throaty, percussive response and plenty of twang, but it’s not a one-trick pony and covers all the playing bases very well. We were mightily impressed with how well it sat in a band mix, never getting lost in a fog of frequencies but sitting perfectly among the other instruments, with plenty of body and definition. The alder and maple pairing gives the Excess a naturally ‘bouncy’ tone, although the overall resonance isn’t particularly pronounced when unplugged. Any concerns this may have raised were soon dispelled once the Excess was plugged in and the electronics came into play. It would seem that the bass is set up acoustically to offer the best springboard for the electronics to work from. Vigier have obviously worked hard on the circuit and pickup combination, and this attention to detail has certainly paid off. With the EQ set flat and both pickups selected, the basic amplified tone is perfectly usable in most contexts, but sweeping between the pickups highlights quite a diverse range of tonal options, all of which sound powerful and forthright. We had expected a degree of ‘bass lightness’ with the bridge single-coil isolated, but the Excess was having none of it, sounding tight and reasonably rounded with a fair degree of ‘honk’ and ‘bite.’ The neck pickup offered a more traditional warmer slant tonally, but the response was smooth and as tonally rich as you would expect. Adding in some EQ changed things quite radically. Being a 5-string instrument, naturally the bass is larger and includes more wood in its make-up, yet somehow it maintains brightness in the overall tone which works remarkably well in providing some added definition to the low B string. Perhaps a degree of this is down to the 10/90 neck system, which is meant to promote a more sustained and defined tone, but for the most part very little treble EQ needed to be added. For slapping and percussive fingerstyle playing we dialled in the treble in stages, as turning it up full was too bright for our taste. However, the bass EQ had been sensibly adjusted, so despite adding 20 dB when turned up fully, the sound rounded out without becoming ‘woolly’ or ‘boomy.’ As a 5-string, this bass is surprisingly easily coaxed into becoming a slap machine with The neatly arranged and no mess around the 18-volt Vigier active hum-cancelling circuit. Despite using humbucking pickup covers, the noiseless pickups are actually single-coil Vigier units and feature three screws for height adjustment. 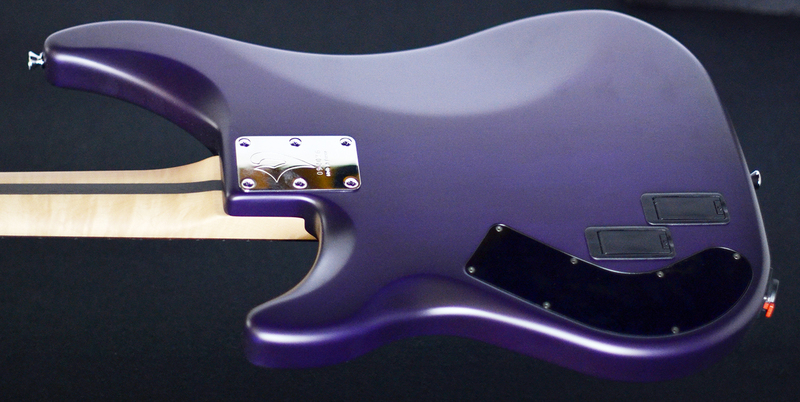 Innovatively, the jack socket is located below the side strap button and Vigier points upward in an attempt to limit the possibility of the jack disconnecting from the bass should your cable become taut. Having played a number of Vigier basses in the past, it came as no surprise to find the Excess is a solid performer. In terms of looks, the colour scheme works well, but at over £2,000 you may expect a few more eye-catching touches or some exotica to shout about for your money, such as a nicely figured top timber. But unlike a number of basses out there that score highly in the looks department but fall down in the performance stakes, this bass opts for understated presentation in favour of a top-notch display in the sound and playability categories. 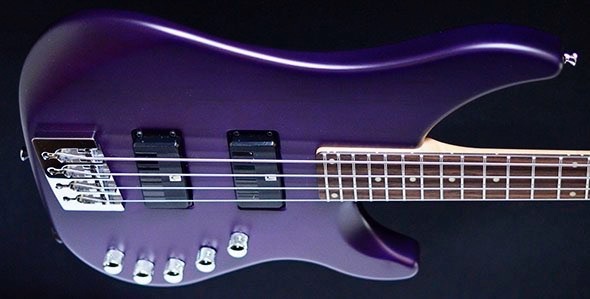 The Vigier Excess certainly finds itself in a market where £2,000 should buy you the instrument of your dreams, and not being a name on every bassist’s lips puts it at a slight disadvantage. 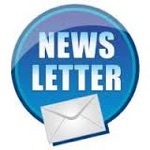 However, the acid test is really to get it out there onstage and use it live or in a recording studio, and anyone able to do this or prepared to go for it regardless will find they have purchased a real winner. We can recommend this particular model without any concerns as to its pedigree, and the canny shoppers out there may well be able to find some examples under the RRP. Happy shopping! 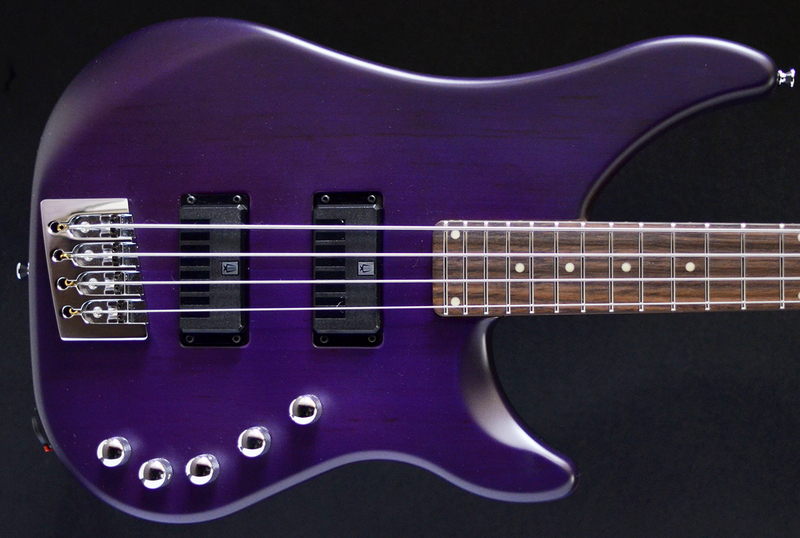 Plus: Great playability and an expansive tonal palette that puts in a seriously good 5-string display. Minus: The price tag may well put some people off. Overall: A pedigree instrument that puts in a top-notch performance.